This 2007 album by Johnny Hallyday contains the song “I Am the Blues” which was written by Bono and Simon Carmody. It was released throughout Europe, but not in many countries outside of Europe. There was a release in Canada, and in some other French speaking areas around the globe. Johnny Hallyday is a very popular French singer and actor and has been performing since 1959. 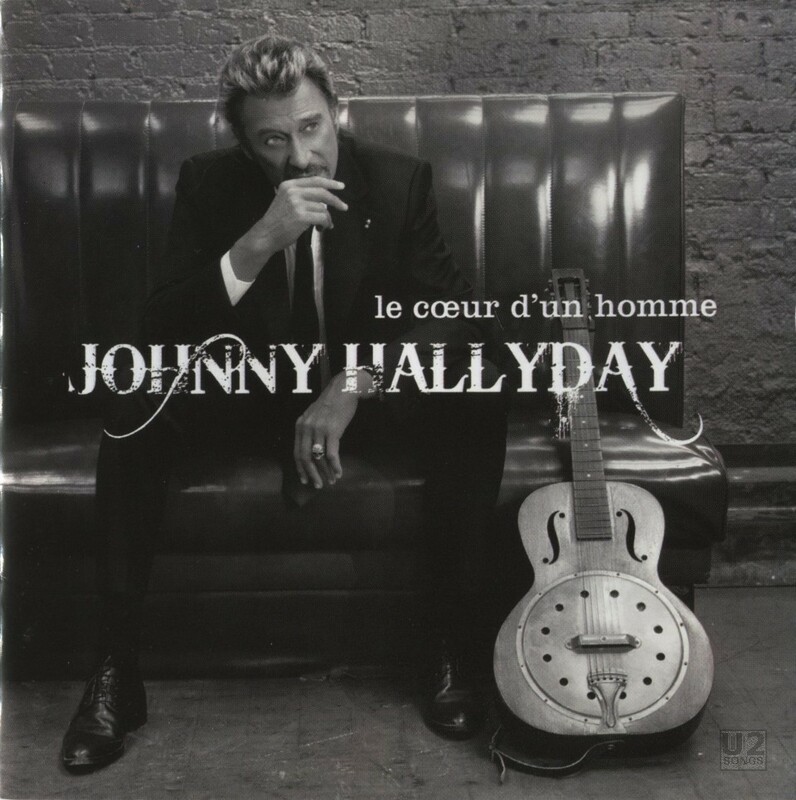 The album “Le Cœur d’un Homme” is a bluesy album, released after Hallyday had announced his retirement from touring. The album proved to be very popular in France and Belgium hitting number one in both countries. Typically Hallyday performs only in French, however on this album the song “I Am the Blues” has been written for Hallyday by Bono and Simon Carmody and is sung in English. Hallyday and Bono had been friends for years when one night Hallyday met Bono after a concert in Monte Carlo. Bono had never seen Hallyday perform before. The two began to talk, drank a lot and Bono made a promise to contribute a song and three days later this song was given to Hallyday. Simon Carmody, who co-writes this song, grew up in Dublin with Bono, and had fronted the band “The Golden Horde” which had been signed to U2’s Mother Records in the early 80s. Carmody and Bono had written together for Ronnie Drew, on the song “Drinkin’ in the Day” as well as being instrumental in putting together the song “The Ballad of Ronnie Drew” in 2008. Written by Bono and Simon Carmody. Recorded by Eddie DeLena at Ocean Studio, Burbank. Additional recording (Orchestra) by Francois Gauthier, assisted by Nicolas Berger at Studio Omega, Suresnes. Additional recording (Glissandro String Pattern) by Rori Coleman. Piano and organ: Yvan Cassar. Guitar: Brian Ray. Bass: Abraham Laboriel. Drums and percussion: Abraham Laboriel Jr. Programming: Eric Chevalier. Realized and arranged by Yvan Cassar. Mixed by Bob Clearmountain at ICP studios, Bruxelles. Assisted by Djoum.